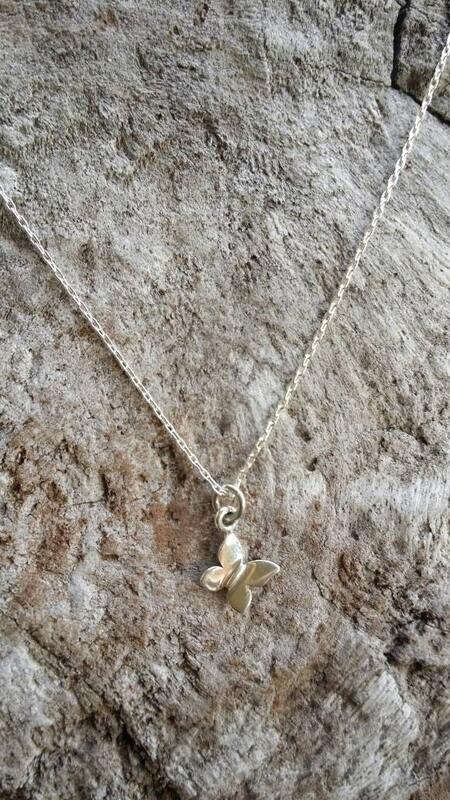 The smallest little sterling silver butterfly pendant. 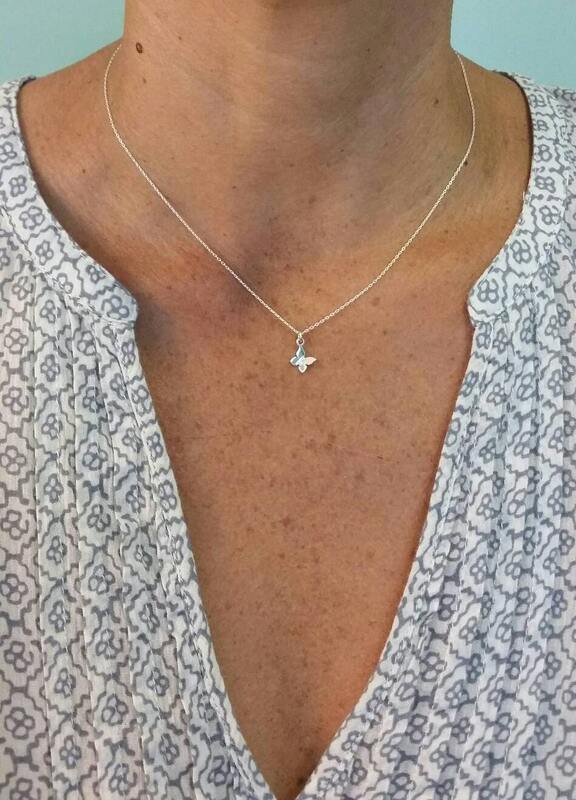 So cute and dainty can be worn every day with everything! The shiny Sterling Silver charm is a dainty 7mm x 6mm with a smooth finish. It has a 3 dimensional shape with its wings raised up as in flight. 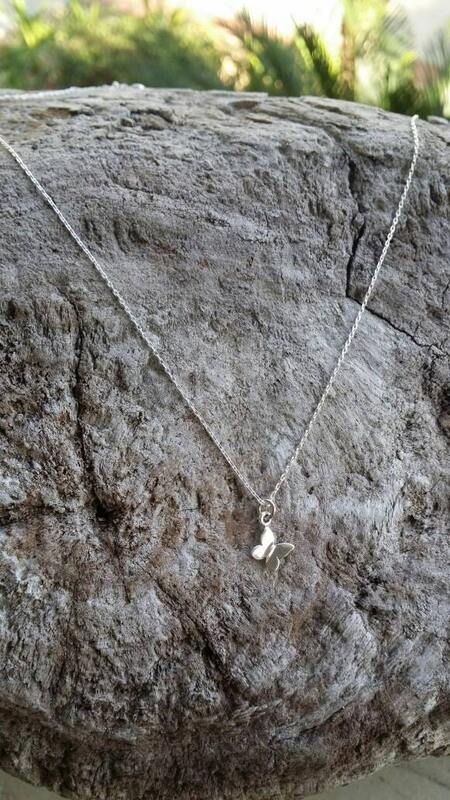 It has a delicate Sterling chain and clasp. Shown here in 16" length. 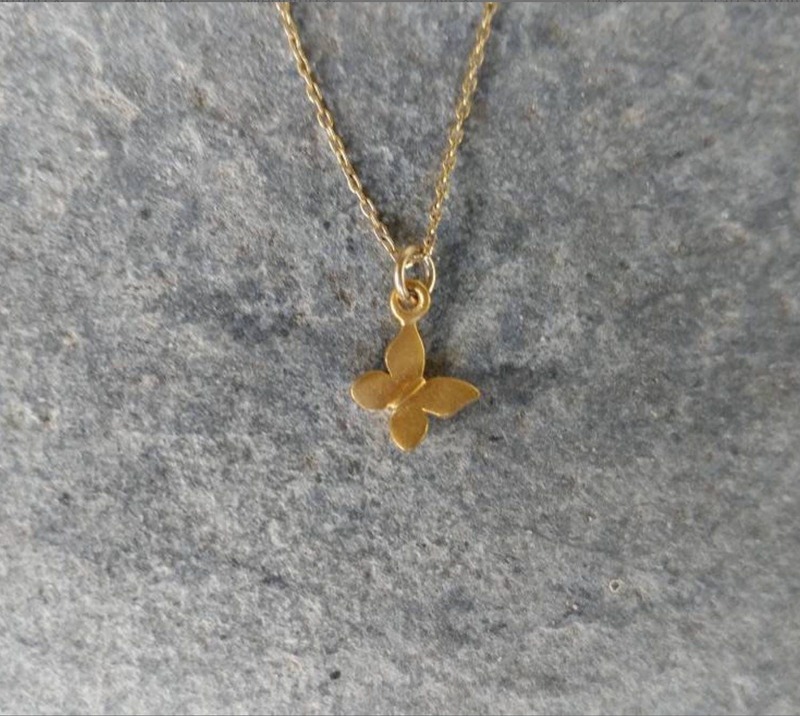 Also available in Gold Vermeil as seen in the last photo. All items are handmade and I guarantee the workmanship and quality of all my products for one year. I guarantee against any tarnishing or breakage within that one year. However, if you should encounter such problems during that one year timeframe, I will gladly replace or repair your item free of charge. Please see my terms and conditions for information on how to request a replacement or repair. 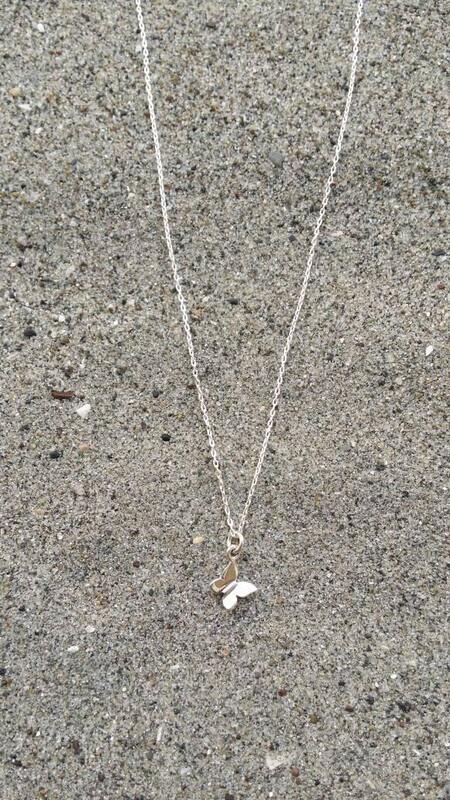 I love the necklace so much! It is so tiny & dainty. I absolutely love this! The item is exactly as described. Super light, dainty, and demure. I am a fan of small jewelry so I absolutely love this and I seriously do not take it off. I will be purchasing more items in the future! Daughter loved this and wears it a lot! I love small jewelry! Its smaller then I thought it would be. But I still like it. It's a gift for my mom. She'll love it. I know it. She loves butterflies. Thank you so much!